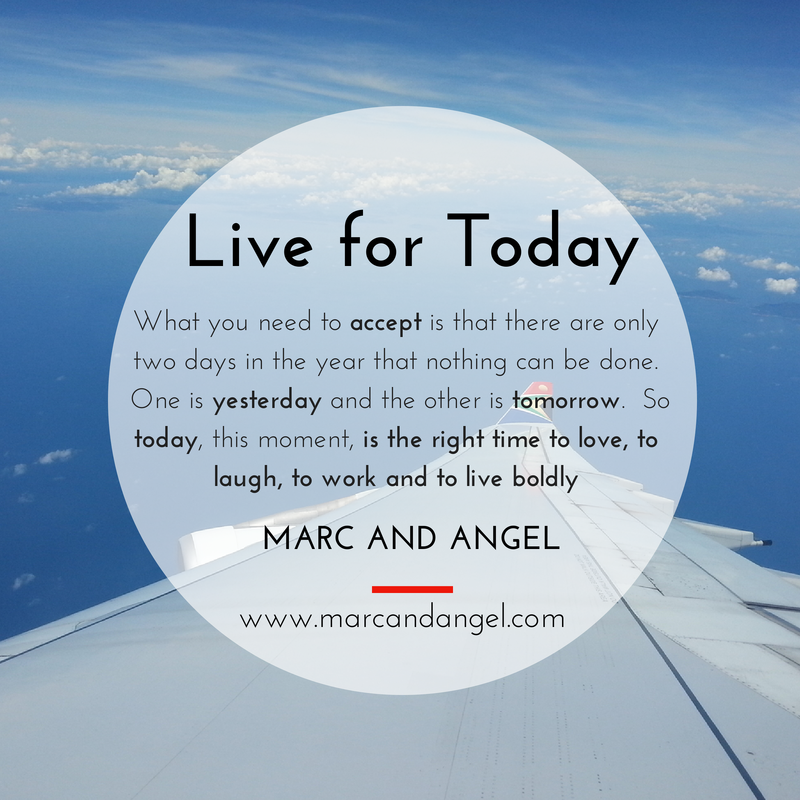 Live for Today - Motivational - Experience It! Every now and then I get these emails from Marc and Angel. They always say the right things at the right time and their words resonates within me. To be honest I've had pretty bad days and simply by reading their posts and remembering a simple truth, I instantly feel better. These days I know myself better and I can immediately recognize when I'm in a negative head-space. Getting out of it can be quite tricky sometimes. So something simple for today. - Today is the right moment to do whatever you want. You just need to grab your courage by the ears and start doing it.